Greetings from Washington University in St. Louis. It looks like we are in for a nice warm early spring in many parts of the country. I hope you are all well and your spring is arriving in a timely fashion wherever you are. There is another celebration we have just left behind – the wonderful and festive March 8. So, a belated Happy Women’s Day to you all! The Iranian women sociologists celebrated the day with a speaking event in Tehran, here. Iranian Azari women activists celebrated the women’s day with a day of hiking, among other things! Here. Here, in the U.S., my totally amazing friend Safoura Nourbakhsh and a team of writers, translators and scholars just celebrated the Women’s Day with the publication of the second issue of their online publication Zannegar Journal. The journal is a great resource for academics and activists specializing in women’s studies who read Persian and work with that language. Congratulations to Safoura and friends. We look forward to future editions. In the mean time, do check out the first two issues here and don’t forget to share the link with your Persian speaking friends. In a rare coincidence, Simin Daneshvar, one of the greatest fiction writers of modern Iran, and one of the most articulate defenders of women’s rights, died at her home in Tehran in late hours on March 8th. 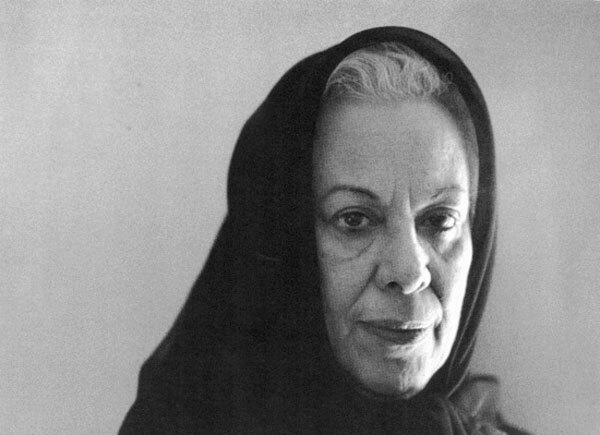 Born on April 28, 1921 in the historic city of Shiraz (my own hometown), Daneshvar studied Persian literature with Dr. Sayyah (a woman Professor) and the great Iranian Rumi scholar Badi’uzzaman Forouzanfar and received her PhD in 1948 from Tehran University with a thesis focused on the treatment of beauty in Persian literature. 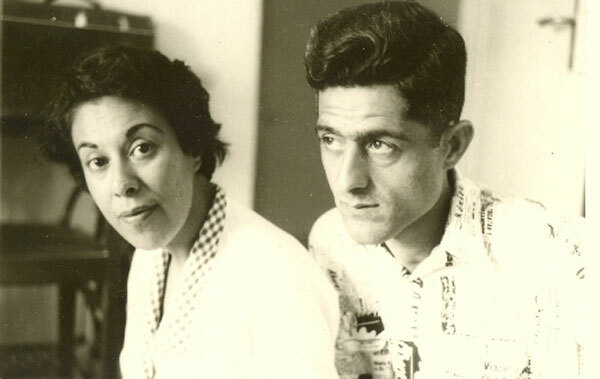 Even though Daneshvar had started writing her own prose years earlier, her marriage in 1950 to Jalal Al-e Ahmad , the highly acclaimed and somewhat controversial, Iranian short story writer and social critic, at first appeared as a possibility of keeping her in the shadow of her well-known husband. Indeed the tragic death of Al-e Ahmad in 1969 (the same year in which Daneshvar published her major novel Savushun) could have overshadowed her literary achievement completely. 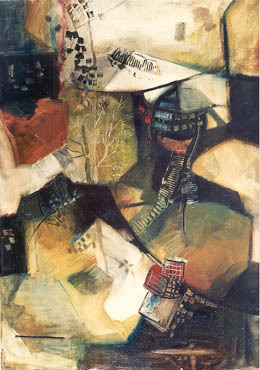 In reality, with Savushun, which sold about half a million copies, Daneshvar established herself as one of the most articulate literary voices of the 20th century Iran. For the English translations of Savushun and her other works, visit Payvand News, here. 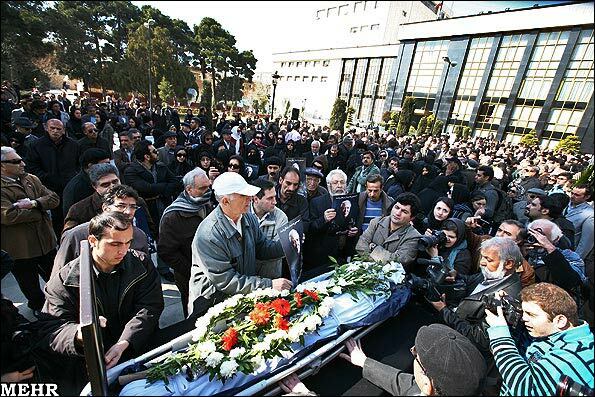 Daneshvar’s funeral was held in Tehran this afternoon. 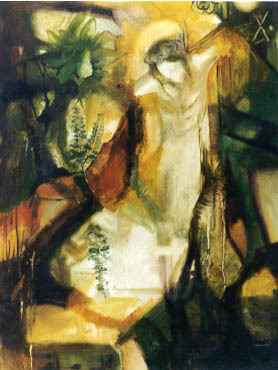 She was laid to rest in the segment of Behesht-e Zahra cemetery where many other Iranian writers, and artists are buried. For more pictures and a full report on the event, go here. To honor Simin Daneshvar and her legacy of freedom and dignity for all human beings, and to celebrate the recently passed Women’s Day, I would like to introduce to you a woman who is very much alive though sentenced to 11 years in jail for being an advocate for reform, women’s rights and human’s rights: Narges Mohammadi. A graduate in the field of physics and engineering, and an advocate for reform and human rights in Iran, Mohammadi was sentenced to eleven years in jail last September. 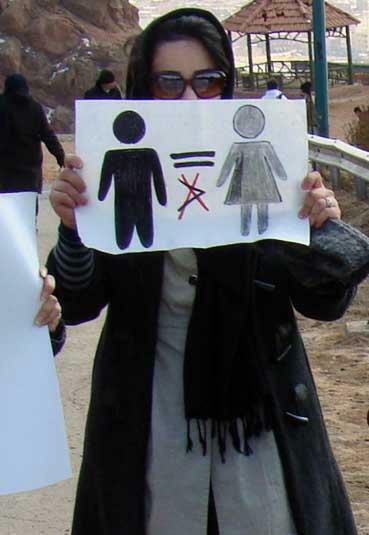 Over forty women activists like her are in jail in Iran, as we celebrate Women’s Day this year. All highly educated and intelligent, none convicted of any crime other than their dedication to human dignity and freedom which is viewed as a security risk, and equated with spying for the enemy, at present. 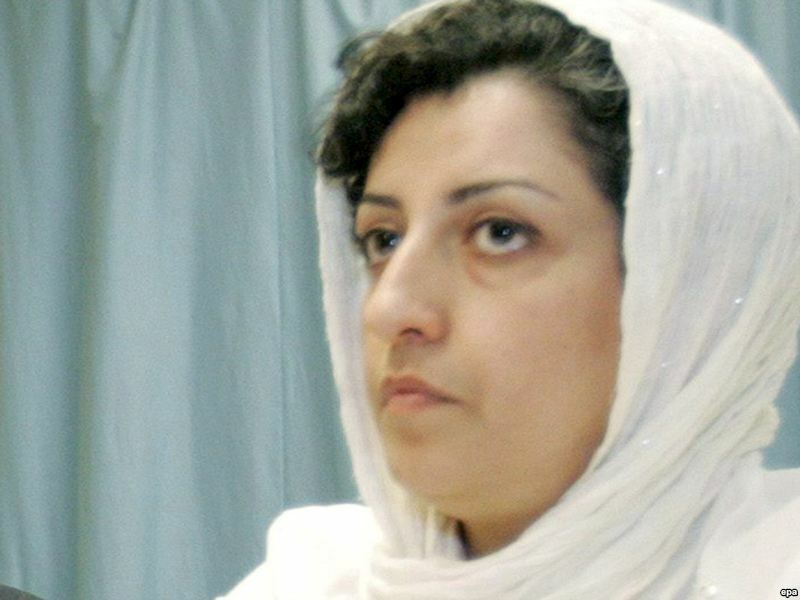 Read more about Narges Mohammadi, here. I would really like to keep war politics out of this window. Somehow it should be dedicated totally to women. But I have come across a piece of exciting news which I would like to share with you. It is the kind that our media seem to always miss: nations’ reluctance to go to war. In a poll conducted this month by Professor Shibley Telhami of the University of Maryland and Israel’s Dahaf Institute, only 19 percent of Israelis said they would support an Israeli unilateral military action against Iran. The poll would have likely made headlines if it were 60 or 70 percent in favor of such a military action. Let us hope the two nations leaders learn from their respective people. Read more about the poll here.